Crafted with a combination of metal and wood with a tobacco oak finish, it has a stunning two-tone look. 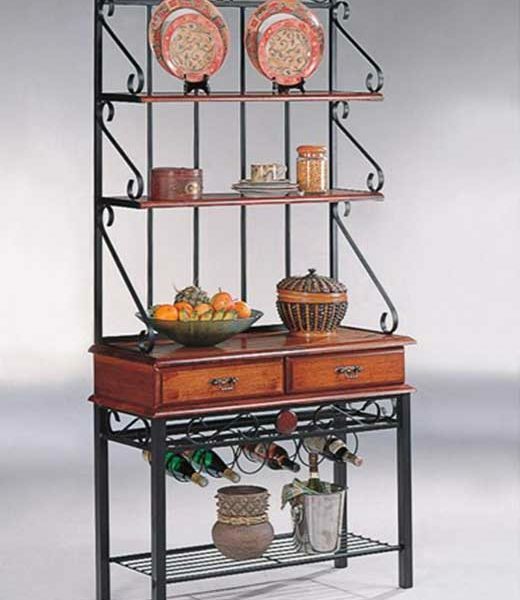 Three shelves offer plentiful storage space, with two tiered top shelves and a bottom wire shelf. It’s always nice to have a home that is well organized and presented. 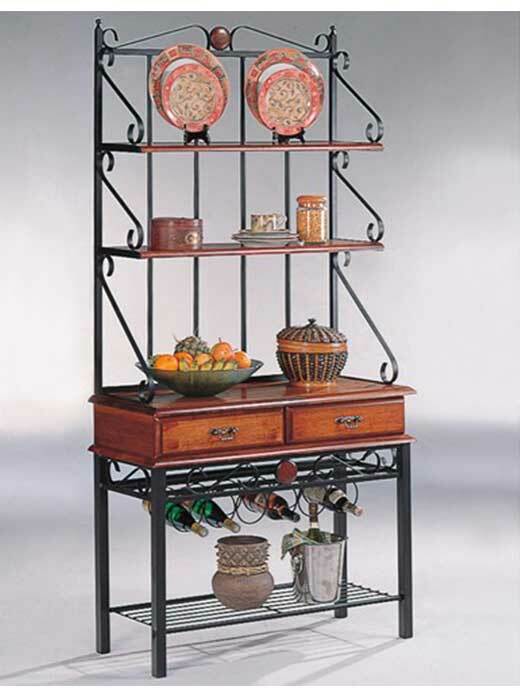 Luckily, with the Accent Racks Collection, this will become an easy task with your choice of a variety of open bookshelves, magazine/DVD racks, and corner display units. The collection ranges from metals, marble, to woods with dark and light finishes. You can also choose different style items such as traditional, modern and contemporary to better match your existing home decor. Either way, you’ll find that your home will look cleaner, fuller, and well showcased in no time! Storage Two drawers, two tiered top shelves and one bottom wire shelf. Wine rack.